the image to Corel Painter, I did a reversal of the image (taking a positive to a negative image). Print Only…..$250. Print with Mat…..$290. 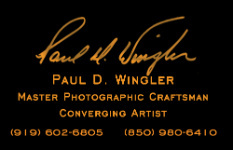 paul@pwphoto.com and put Abstract of Good and Evil in the subject line.